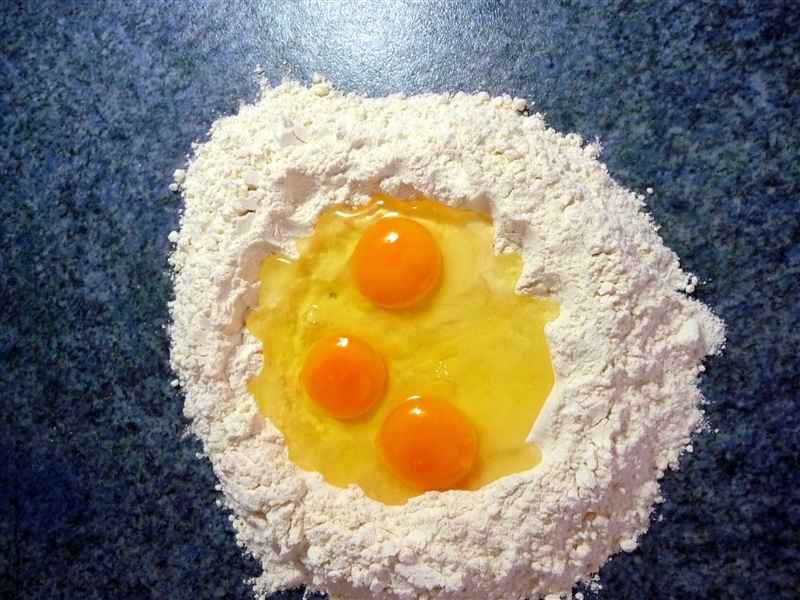 For the last couple of years I have been making my own pasta. 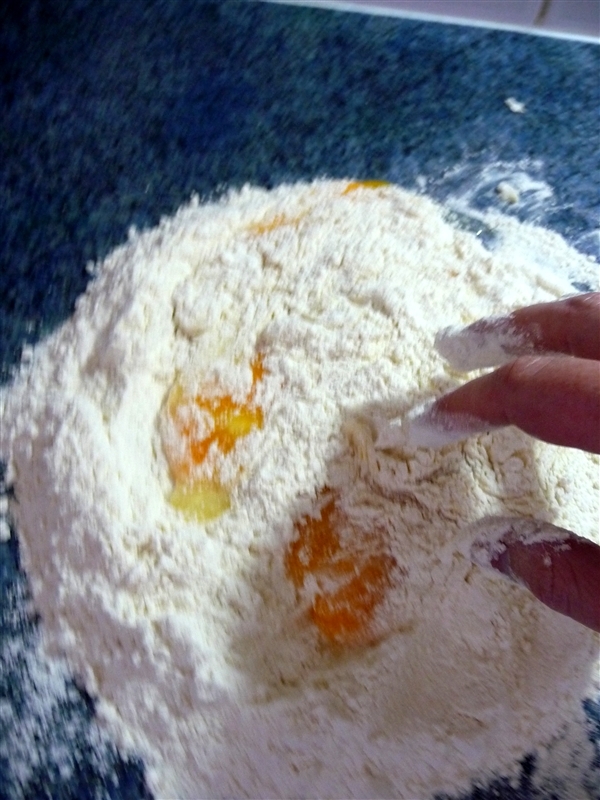 Everytime I have family or visitor come over to stay they always ask for me to make fresh pasta. 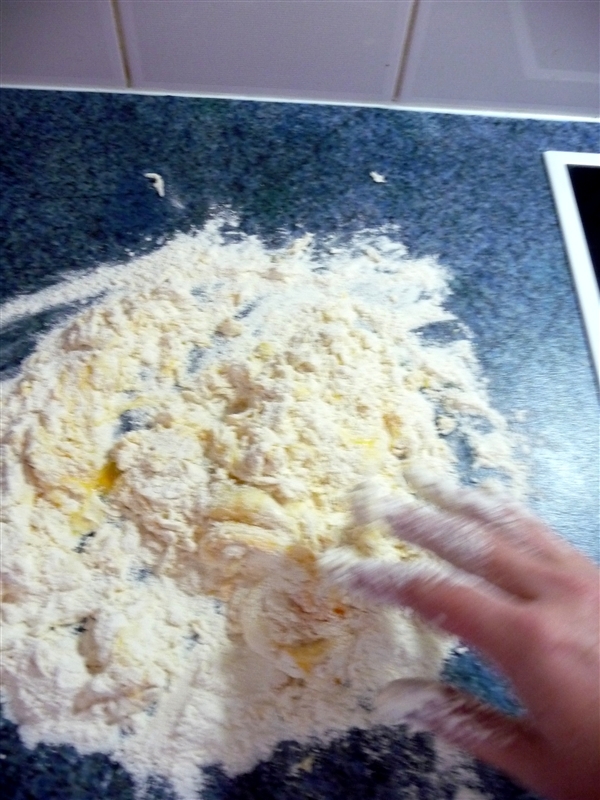 To make fresh pasta is easy peasy. 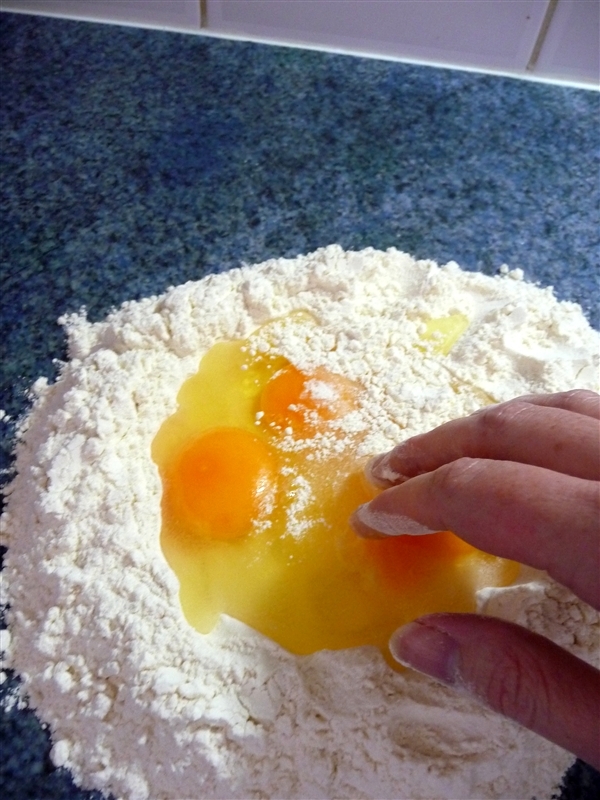 Break up the yokes with your fingers and try to not let the eggs run out all over the bench. Starting to get a bit messy, here is where my sister law had trouble because you get sticky fingers. 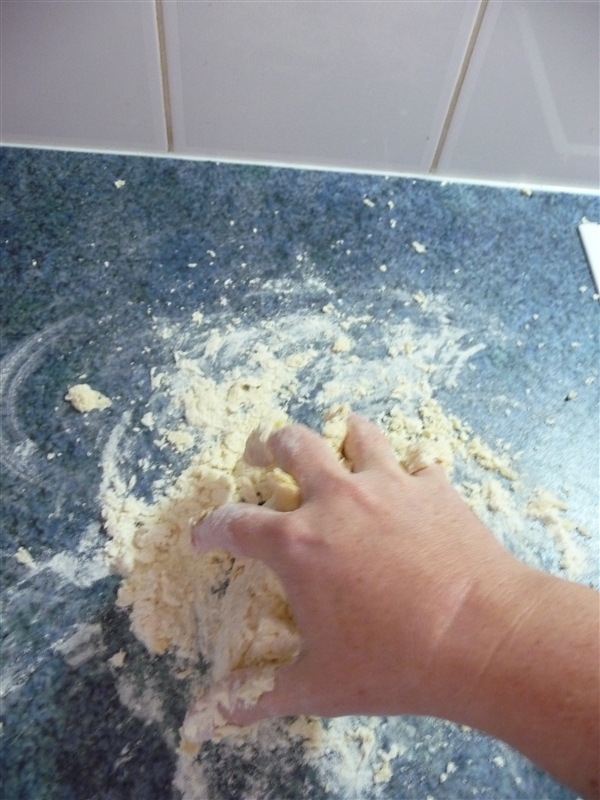 Am feeling please with myself that I have been able to take photos with one hand and make pasta with the other. 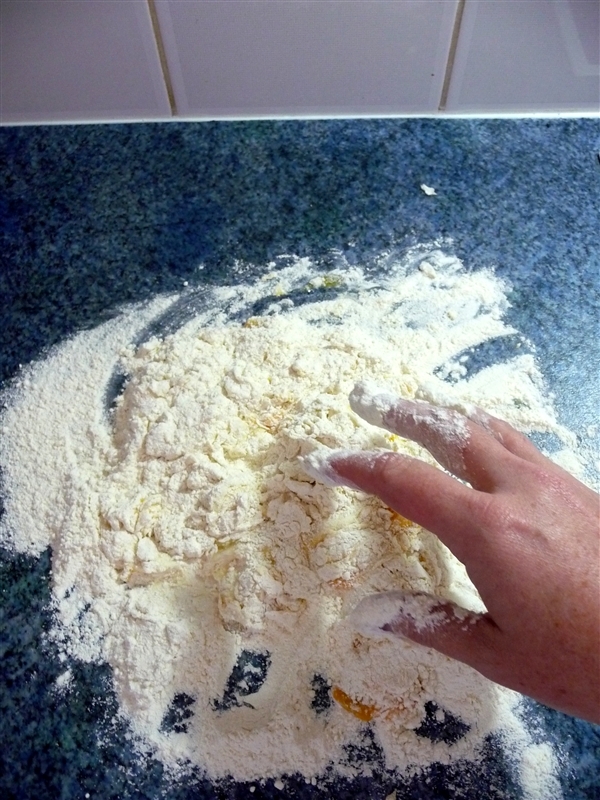 If getting your fingers all sticky like this makes your tummy squeezy, you can mix it all together in a food processor. 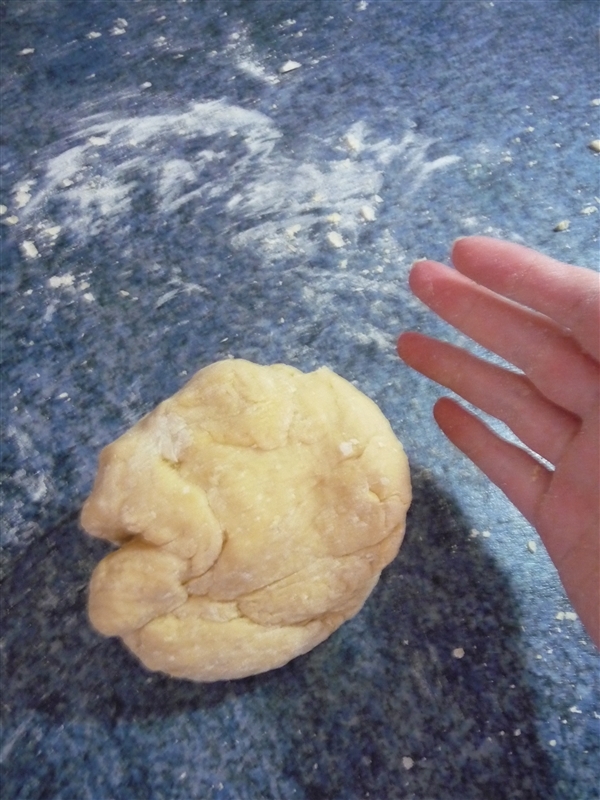 The dough is not coming together, what do you do? 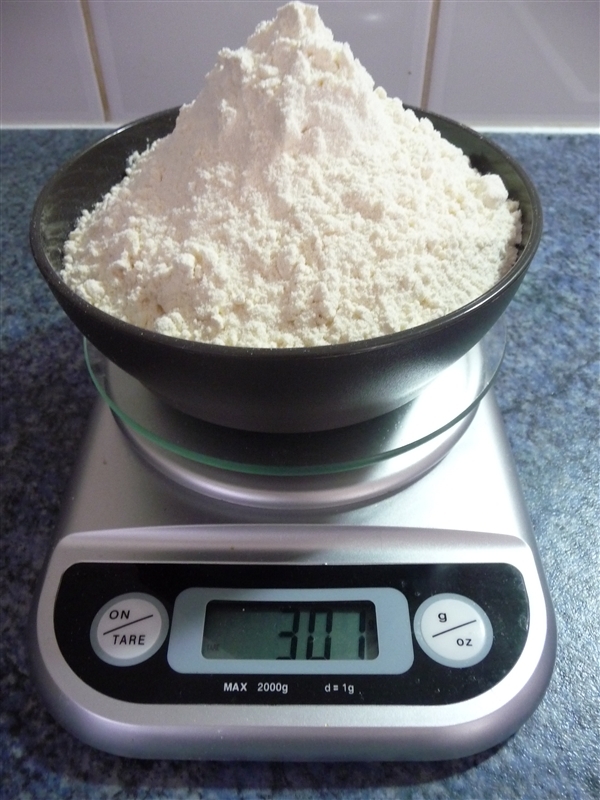 Add some water, only a little bit and the above was about half and egg cup. 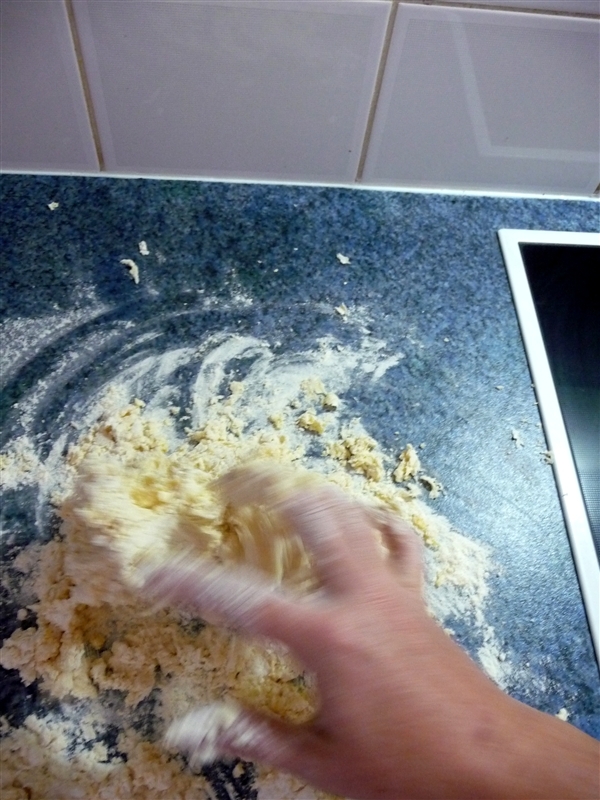 Try kneeding it a little. At this point in time I hear screaming children in the backyard and I had to wash my hands and go outside and attend to them. Ice packs are a modern wonder for healing fragile egos and bruises. 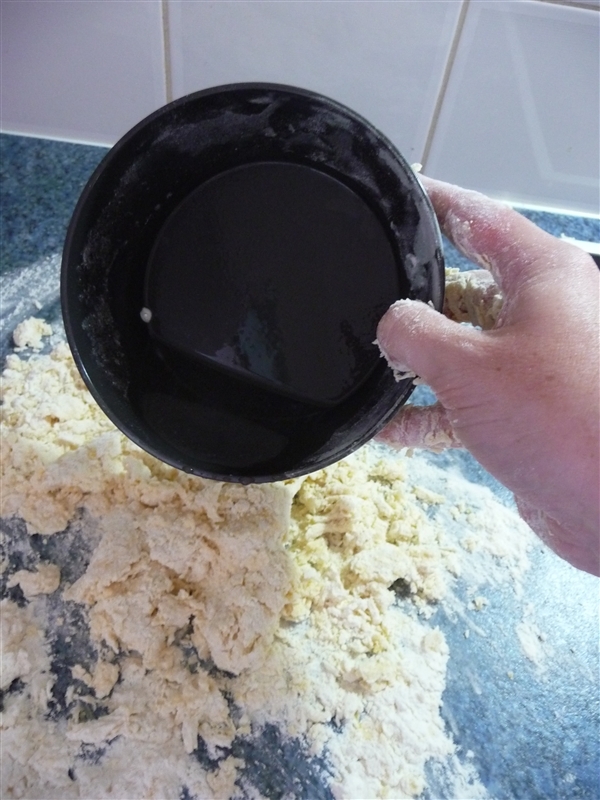 When I returned I kneeded the dough until it was all combined and all the little lumpy bits on the beach had been worked into the ball. Now wrap in clear wrap and set aside of an hour on the bench. 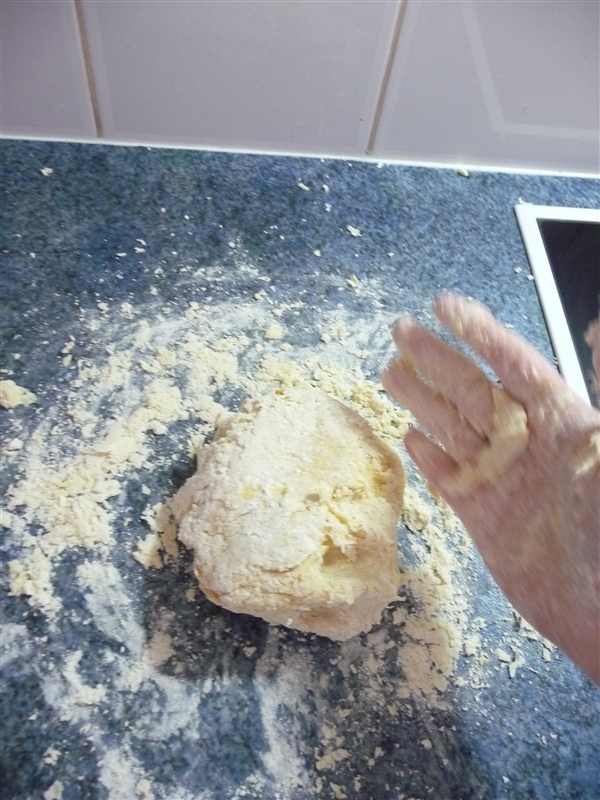 Thats it, easy peasy pasta dough. 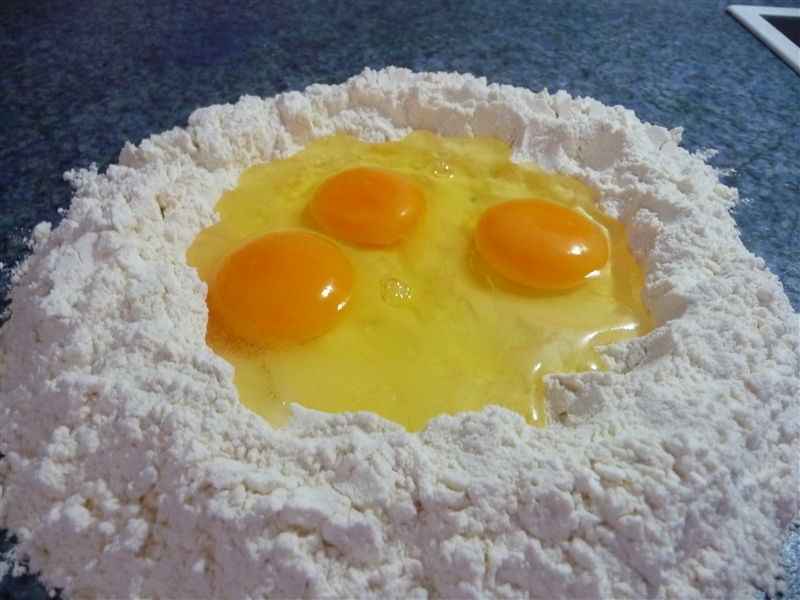 I would love to see my sister and sister inlaw posting picture of their fresh pasta. You know you want to give it a go.